Thousands more refugees could be at risk of dying at sea if a proposed ‘code of conduct’ for NGOs conducting search and rescue operations in the Central Mediterranean is put into practice, Amnesty International and Human Rights Watch said on Wednesday (12 July). 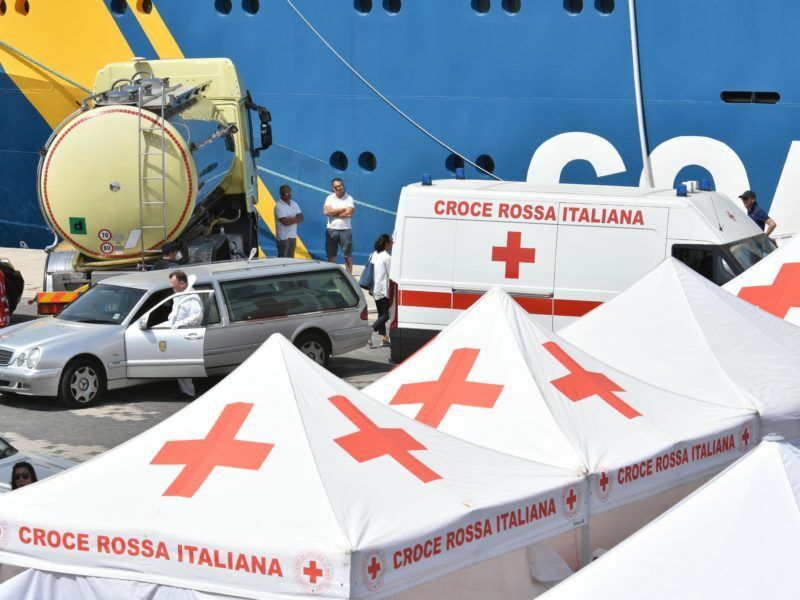 On 6 July in Tallinn, the Italian government proposed a “code of conduct” for NGOs operating privately-owned ships in the Mediterranean to make sure that they don’t act as taxis, ferrying refugees found off the Libyan coast, to Italian ports. 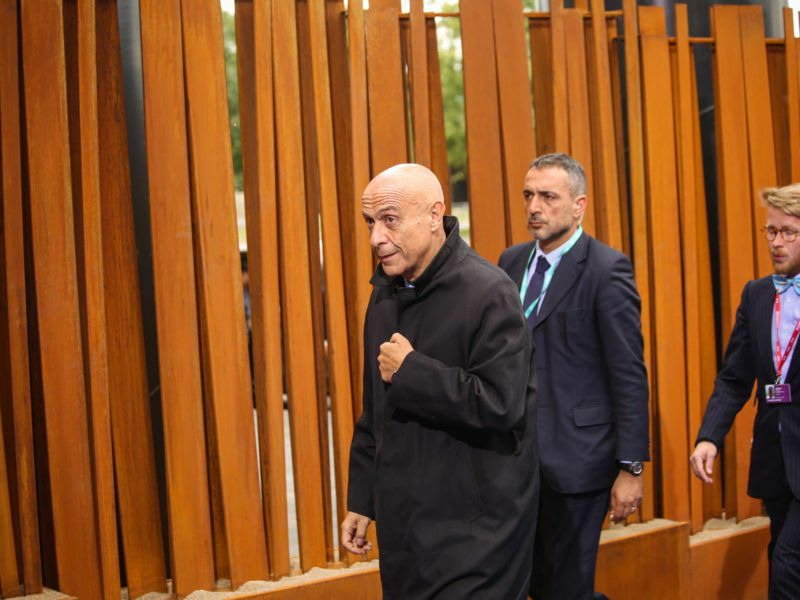 EU interior ministers yesterday (6 July) gathered in the Estonian capital Tallinn pledged to back an urgent European Commission plan to help crisis-hit Italy, which has been overwhelmed by a wave of migrants arriving by sea from North Africa, but adopted no new measures. In the absence of such an agreement, Italy says it will close its ports to those ships. Having reviewed a leaked copy of the proposed code, Amnesty International and Human Rights Watch said its application would limit the ability of NGOs to save human lives. “Perversely, the proposed code of conduct for NGOs saving lives in the Mediterranean could put lives at risk. Attempts to restrict life-saving NGO search and rescue operations risk endangering thousands of lives by impeding rescue boats from accessing the perilous waters near Libya,” said Iverna McGowan, the director of Amnesty International’s European Institutions Office, in a press release. Forcing them to return to port to disembark refugees and migrants, rather than allowing them to transfer rescued people onto other vessels at sea if necessary. 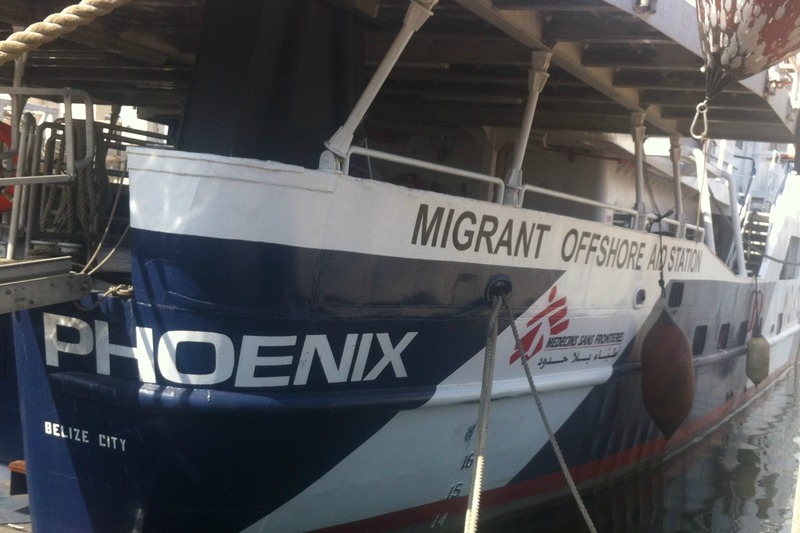 This, they claim, would force NGO search-and-rescue teams to move away for long periods from the area where they are needed, leaving more people at risk of drowning in the Central Mediterranean. The two international NGOs note that draft includes the threat of refusal to allow vessels from NGOs to disembark in Italy if they do not sign the code or fail to comply with any of its provisions. Any code of conduct, if necessary, should have the goal of making rescue operations at sea more effective at saving lives, Amnesty International and Human Rights Watch said. It should be agreed upon consultation with the groups involved in search and rescue, should apply to all vessels carrying out rescues in the Mediterranean, and should not be linked to disembarkation. Amnesty International and Human Rights Watch believe that the code of conduct may in some cases hinder rescue operations and delay disembarkations in a safe place within a reasonable amount of time, breaching the obligations that both states and shipmasters have under international law of the sea. The two NGOs believe that the proposed code of conduct comes amid “a concerted smear campaign against these groups”. Despite their humanitarian mission, aid groups have come under fire, with some critics saying their presence encourages refugees to attempt the crossing. An Italian prosecutor has stepped up his investigation into charity-funded migrant rescue boats in the Mediterranean after claims they are acting as a de facto taxi service for people traffickers. Amnesty International and Human Rights Watch deplored the fact that the EU and its member countries have failed to provide Italy and other frontline member states with the shared support and assistance they need. The two international NGOs say they have documented “reckless and abusive behaviour by Libyan coastguard forces”, to whom the EU seeks to sub-contract the duty of rescuing refugees. 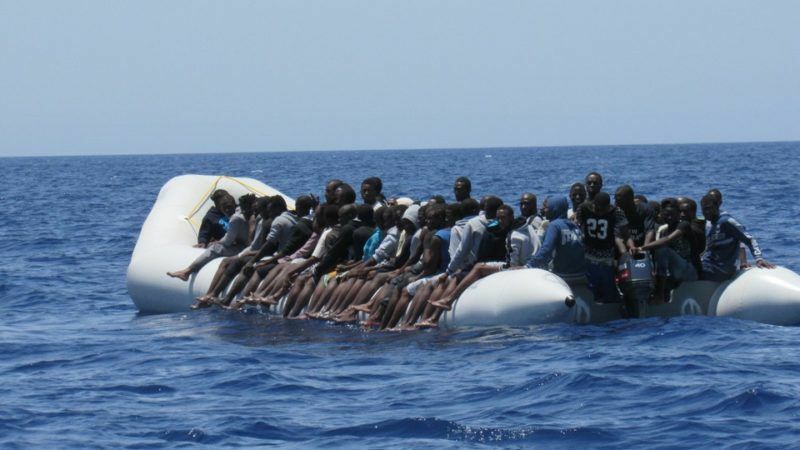 “NGOs are out there in the Mediterranean rescuing people because the EU is not,” said Judith Sunderland, associate Europe and Central Asia director at Human Rights Watch. “Italy’s ‘code of conduct’ threatens”?? I think there is a lack of the code of conduct in Libya’s governement and other African Countries . Thus all how many years already , Even the U.S is incompetent . Ensuring that these illegal wannabe migrants do not land on European shores should be the first priority of EU member states. The refugee issue is a deeply cynical and problematic and should be reconsidered in it’s entirety. We can save refugee lives by stopping them leaving port in Libya. This will also put the people traffickers out of business. That has got to be a better solution than what’s going on at present. The NGO’s can go improve refugee lives where ever they choose just not drag them all to Europe. We got enough of them. Please stop doing it. NGO is doing a good job in making sure no life is lost in that dreaded water, they should be encouraged not criticized, these people are humans like we all though different ethnic, color and culture. If we read our Bible very well we will understand correctly how biblical it’s to help come what may, Christ died for all without sin so we are supposed to be axamples of Christ not the other way around, other countries are facing terrorism today but Italy is exceptional even with the influx of migrants to the country, that’s to tell you that God is not unaware of their kindness and will surely reward our country. Italy will continue to show love and care for eternity we are not racist but philanthropist. God bless Italy! Trading is the best thing ever happened to me. Glad I found Superior Trading System, they are the best teachers in how to trade successfully. Google Superior Trading System to find them. Talking about saving refugees lives by stopping them from leaving Libya territory or sending them back is not the answer and will never be, we hear from these migrants countless times how they complain of brutalism and all other abuses from those heartless smugglers, if they are sent back or not allowed to leave Libyan territory we sending them to their death and we are no different from those smugglers, even if all blacks or Africans make it to Europe all are not qualified to stay or be granted asylum only those desperate and needy are likely to granted asylum, these people are not terrorists if the are we would have seen the evidence so far but up till now there’s no sign of terrorism and they are not here to make us a minority, we are Italians, strong and brave we are one no body can make us a minority in our own country, but stopping and sending these people back is suicide and God in all righteousness won’t be happy with us. My suggestion for now is save the lives of these helpless people and plea to other neighboring countries to open or accept some of these people to ease our pressure, in doing so Italy will be relieved from the stress, I read a migrant said no matter how many times they deport her she will still fight her way in because there’s nothing left for her over there, how touching’ that’s to tell you how horrible it’s over there were they come from. So my plea to the Italian government and UN is to encourage the NGO’s in their operation in making sure no life is lost for now, These people have the right to live just as Christ died for us so will may live. God bless Italy! God bless NGO!